Should Lead-Core Bullets Be Banned? The campaign to ban lead ammunition for hunting is based on the far-reaching claim that there are no known safe blood lead levels (BLLs) for neurotoxicity, particularly for children. The Centers for Disease Control and Prevention in Atlanta, Georgia, Environment Canada, and the UK’s Food Standards Agency have singled out game harvested using lead ammunition as exposing children and pregnant mothers to an unacceptably high health risk. Arguing that “a conservative approach” is appropriate when characterizing risk, the Canadian government is studying additional measures to further reduce exposure to lead. Lead has been banned from other products, including gasoline and paint, and banning lead-core bullets and sinkers is under consideration. A ban of lead bullets and shot would undermine civilian firearms ownership by making shooting extraordinarily expensive for many hunters and target shooters. There is no disagreement that lead is a dangerous neurotoxin, particularly for young children and fetuses. Low levels can harm children’s developing brains, causing learning disabilities, per the CDC. Research has shown that consuming meat contaminated with lead particles increases BLL. However, the research to date does not clearly demonstrate that the risks of lead poisoning from eating game harvested with lead ammunition are severe enough to justify a general ban. In an abundance of caution, state wildlife agencies (such as Minnesota and Wisconsin) have increased efforts to educate hunters about the best practices of preparing game that minimize the risk of lead poisoning. Some tips are: always trim a generous distance away from the wound channel, and discard any meat that is bruised, discolored, or contains hair, dirt or bone fragments. Hunters are also encouraged to consider higher quality (and more expensive) ammunition such as copper or lead-core bullets that have high-weight retention. 1. Iqbal and his colleagues examined 736 people in North Dakota who lived in various locations in ND, holding a wide range of occupations, from welder to refinery worker. Most had lived in same household for over 10 years. Those who reported eating wild game were found to have 50 percent more lead in their blood than those who did not. The lead exposure was highest among people who consumed not only venison, but also birds and other game. Those who ate wild game meat had average lead levels of 1.27 micrograms per deciliter, compared with 0.84 for those who ate no game. Statistically, these differences are significantly different. This study was used to ban donations of game meat to food banks by generous hunters. Analysis: The study did not examine alternative explanations for higher BLL, including hobbies and occupational differences. Despite finding higher BLL in those who ate wild game, the BLLs of both groups were well below a CDC threshold of 5 micrograms per deciliter. Importantly, both groups were at or below the US national average of 1.6 micrograms per deciliter. Unsurprisingly, no deleterious health effects were reported for hunters or their families. 2. A recent Canadian study is cited as supporting the dangers of consuming game harvested with lead ammunition, and it illustrates some of the methodological problems in studies linking higher blood levels with game harvested using lead ammunition. Fillion and her co-researchers focused on three small Inuit communities in Nunavut (an arctic Territory in Northern Canada) where participants in the Inuit Health Survey in 2007–2008 had the highest blood lead levels (BLL). The study first examined the lead levels in game meat, house dust, paint chips and types of ammunition used by study participants. Blood samples from the 169 participants in the study showed that those involved with hunting, living in houses undergoing repairs or re-modelling, or eating game harvested with lead shot had higher BLLs than other participants. To assess the lead level in game meat, samples were obtained from game harvested with lead ammunition from at least two parts of the animal. The researchers were surprised to find that lead levels in the game meat were generally low and did not exceed the guidelines for lead levels. They concluded that it was unlikely to be the major source of lead exposure for this population. Nevertheless, BLLs were highest among those who ate birds shot with lead pellets. No information was given if samples were taken from the wound channel or if visible lead fragments were removed before analysis. In the second section of the study, the researchers assessed the isotopic profiles of each possible source of lead in the participants’ blood. Analyses showed that lead in house dust, paint chips, and ammunition had similar isotopes to those found in the blood, while differing from the isotopic profiles found in wild game. This suggests that exposure could have come from the dust from old paint, decrepit walls in the houses, or direct from the ammunition, but not from consuming wild game. Analysis: The first point to note is that the participants in this study are not typical North American hunters; rather they were deliberately selected for having the highest blood lead levels in the earlier Inuit Health Survey. Second, the small size of the sample and the wide diversity among the participants (particularly in housing quality, hunting involvement, and game consumption patterns) made interpretation difficult. Despite the disparity in isotopic profiles of lead in participants’ blood and wild game, the authors conclude, “Blood-lead concentration results were consistent with the hypothesis that lead-contaminated game bird meat is a significant source of exposure . . .” This conclusion is based on the significant increase in blood-lead concentrations of the main study group after the spring harvest of water birds. However, as the authors recognize, this ignores the possibility of lead contamination from alternative sources. The authors speculate that this contamination might stem from handling lead shot shells, and urge that lead shot shells be banned for all game hunting. The recommendation of a ban is based on speculation, not the research findings. While the researchers note that participants made (cast) lead sinkers, they ignored this information. Nor did the researchers investigate the isotopic nature of the sinkers. Had they done so it would have been possible to discover if the higher BLL in men who hunt could have come from their reported activity of casting lead sinkers. Casting lead has long been known to be a dangerous activity and requires proper handling procedures and particularly extensive ventilation. Appropriate ventilation would be even more crucial in the arctic. Meat preparation is a key determinant of the amount of lead residue found in game meat, but handling practices were inadequately reported. To know if a study adequately reflects the risk facing hunters using lead ammunition, it would be necessary to utilize procedures that follow best-practices, thereby ensuring lead is adequately removed from game. Information on best practices is available from various organizations in the United States and the United Kingdom. These vulnerabilities in the claims about the dangers of lead bullets identified here imply that concerns about lead have been exaggerated. The case against lead bullets remains inconclusive. Despite agreeing that lead is a dangerous neurotoxin, there is as yet no clear evidence that lead-core ammunition poses serious health risks when harvesting deer or other big game at typical consumption levels. Risks are reduced by proper butchering and meat-handing techniques. Hunters have long recognized that hunting entails a variety of threats and have learned to “adapt and overcome.” Clearly, outdoor activities are more dangerous than playing video games or watching television. Education, not bans, is the most appropriate way to deal with the threats facing hunters – from wilderness survival to possible CWD to lead toxicity. To the extent that lead contamination poses a threat to those who eat game harvested with lead ammunition, hunters need to understand they should take reasonable precautions. Traditional outdoor organizations are well placed to educate hunters about the best practices for butchering game harvested using lead ammunition or to help them decide if they wish to use non-lead ammunition. 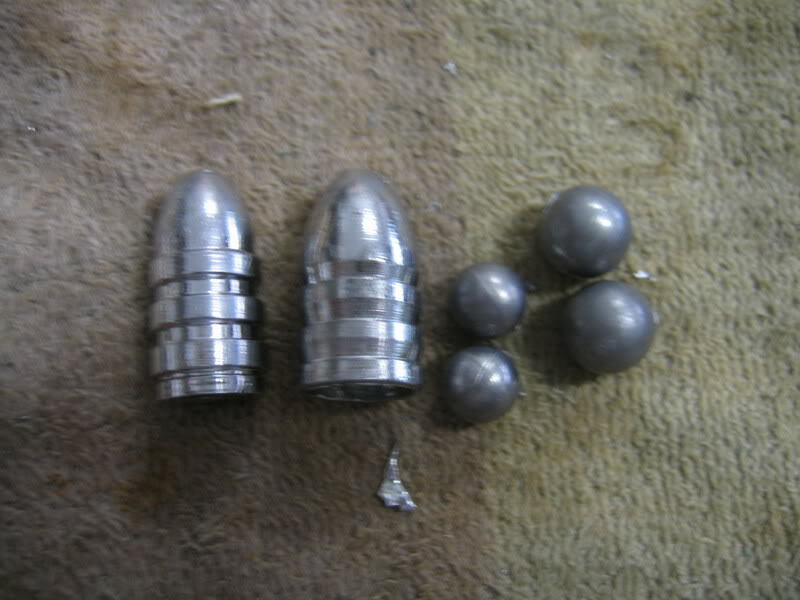 Such groups have long provided information about best practices for casting lead sinkers or bullets. Groups willing to throw the ammunition baby out with the supposedly toxic bathwater reveal their true purpose is opposition to hunting and not concern for the welfare of hunters or their families.